An ample range of options is provided. Availability is guaranteed during the purchase. Interesting additional services are offered. I would use the services of The Royal Cards again. Preferred payment methods are available. The payment process is simple and transparent. Attractive savings options are available (rebates or sales). Customers are not pushed into purchasing unnecessary extras. The invoice is correct and clear. The terms and conditions are clear. Personal data is kept secure. Preferred types of delivery are offered. The goods were delivered in flawless condition. Delivered goods were packaged and protected. Information regarding current delivery status is available. The product is presented transparently online. Sufficient additional information is available. Reviews and recommendations made by other customers were helpful. The website design is professional. Important functions are also available on smartphones. Website loading times are acceptable. ... is reachable during normal business hours. ... responds to questions in reasonable time. ... offers qualified answers and solutions. ... offers straightforward transaction handling and options for cancelation or refunds. ... communicates friendly and attentively. ... offers support after purchase. 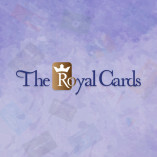 Would you recommend The Royal Cards? Please be aware that your feedback may be published on the ProvenExpert profile for The Royal Cards.